I’am trtacking a memory leak in home gateway. 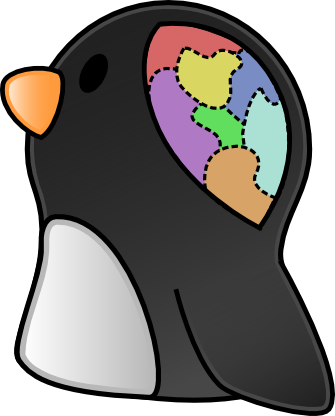 I have read a lot of posts about memory management in linux, but things still be confusing for me. For exampal how to get total free memory; Is it MemFree + (Buffers + Cached + SwapCached) + SReclaimable? I’am using the formula TotalFreeMemory = MemFree + (Buffers + Cached + SwapCached) + SReclaimable. TotalFreeMemory is decreasig a bout 9M in 3 days. I found that SUnreclaim has brown about 7.5 M. So there is 1.5 M lost. AnonPages has also grown about 1M. What is the usage of AnonPages? is it normal that this bloc of memory grows like this? If your Linux is using a modern “ps” and/or kernel, this info is already available there. AFAIK, AnonPages is memory mapped by applications. Please note that tracking free memory down to MBytes is error-prone, I think. I’m not sure if all counters which are exported are an atomic snapshot of the system. Could you please expalin to me how “user space” memory is conted? in fact, it seems to me that only kernel memory is counted in this formula : TotalFreeMemory = MemFree + (Buffers + Cached + SwapCached) + SReclaimable. i have a question to disturb you. i use ‘cat /proc/meminfo’ and got information of my centos6.5, Then i use the first formula in chapter of “Total memory usage”. But there is too big difference between the sum of “MemFree + (Buffers + Cached + SwapCached) + AnonPages + (Slab + PageTables + KernelStack)” and MemTotal. WHY ?? Hi, please provide the whole content of your “/proc/meminfo”. But the “Memtotal” in picture is 3921112 kb，there is too big difference.Why is this happening? Although this core is 2.6.32,calculate with your formula,the inaccuracy of other server is acceptable.The phenomenon of this server is too strange.